INUYAMA is a city full of many tangible and intangible cultural heritages such as National Treasures INUYAMA Castle and Teahouse JOAN, and cormorant fishing on the KISO River. Two open air museums MEIJI MURA and LITTLE WORLD are also popular places and many tourists enjoy the KISO river boat tour. Nobuyasu ODA, uncle of Nobunaga ODA, built this castle at in 1537, the year Hideyoshi TOYOTOMI was born. 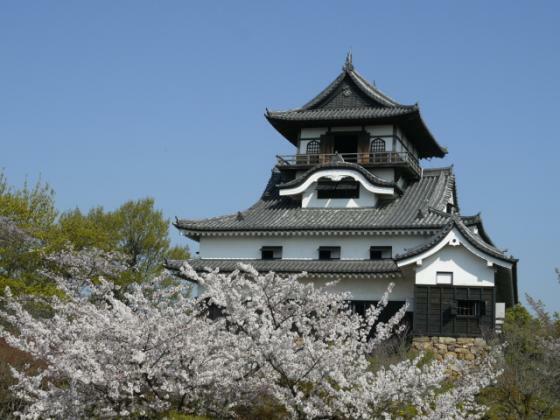 It has another name of “BYAKUTEI castle”, and has the oldest castle tower in Japan and provides a great view from there. JOAN is one of the three best teahouses in Japan and shows the atmosphere of Japanese ceremony in its earliest days. With a tradition of 1300 years, cormorant fishing must move your spirit and make unforgettable memories. More casual day time cormorant fishing is also available. An open air museum built to save the historical buildings of the MEIJI era (1868-1912) . You can enjoy Japan as it was 100 years ago. Houses and villages around the world were moved to or constructed around the park, and you can experience the lives of each country without really going there. A sweets theme park which has the appearance of a western castle. Many cooking courses are prepared like cookie baking and bread making.